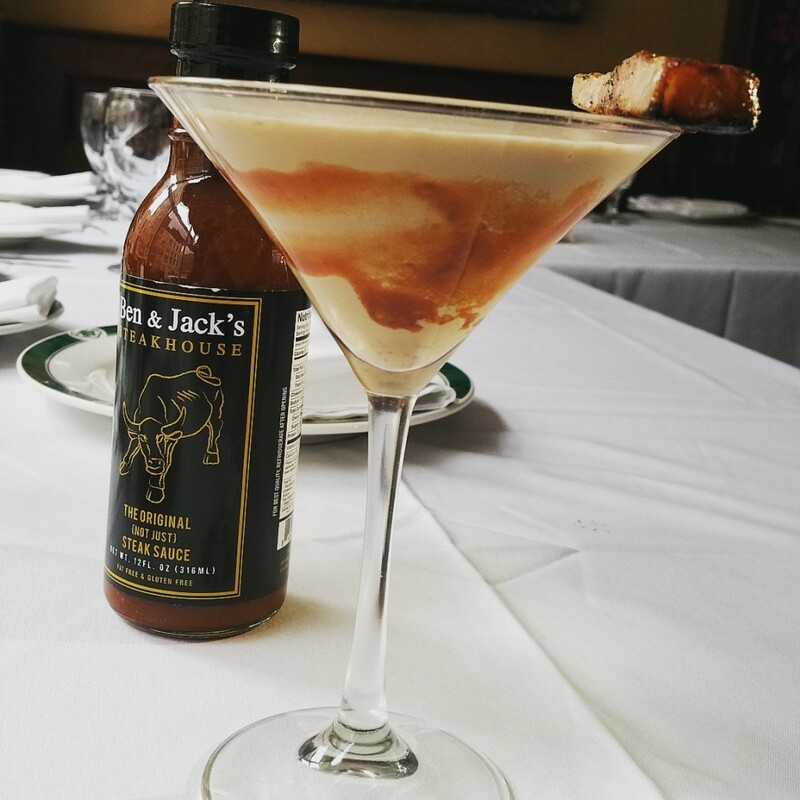 I came across an amazing drink that Chef Admir from Ben & Jack’s Steakhouse whipped up for the holiday season. It’s called the Steak Sauce Martini. Smear the steak sauce on the inside of a chilled martini glass. In a shaker with ice, add bourbon, eggnog, white chocolate liqueur and Frangelico. Shake and pour into a martini glass. Garnish with strip of bacon. If its too much work for you to make at home, then take a trip over to Ben & Jacks to try it out.